Pogue served as the pilot for the third and final mission to NASA’s Skylab space station (Credits: NASA). 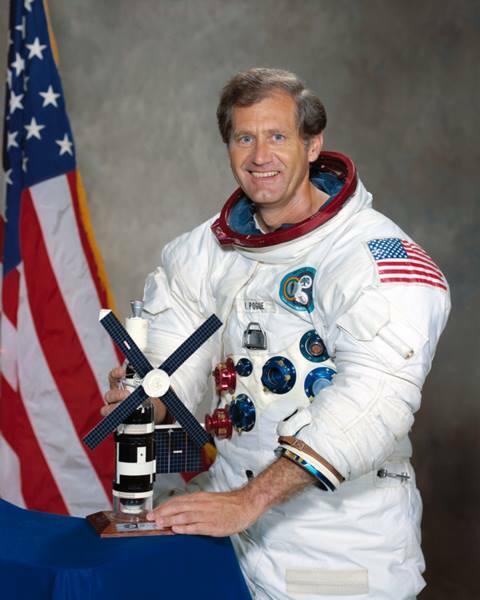 Veteran astronaut Bill Pogue, who served on the final Skylab mission and as a support crewmember for several Apollo missions, has passed away, he was 84. After retiring from NASA, he became a successful educator, author, aerospace consultant, and public speaker. William Reid Pogue was born in Okemah, Oklahoma. After earning a bachelor of science degree in education from Oklahoma Baptist University in 1951, he enlisted in the US Air Force and saw combat duty during the Korean conflict before spending two years as an aerobatic pilot with the U.S. Air Force’s precision flying team, the Thunderbirds. Pogue earned a master’s degree in mathematics from Oklahoma State University in 1960, and subsequently taught this subject for three years as an assistant professor at the U.S. Air Force Academy in Colorado Springs. Under the USAF/RAF Exchange Program, he went to England, graduated from the Empire Test Pilot’s School in Farnborough and then spent two years as a test pilot with the British Ministry of Aviation. Back in the U.S., with the rank of Air Force Colonel, he became an instructor at the U.S. Air Force Aerospace Research Pilot School, located at Edwards Air Force Base in California. In April of 1966, he was among 19 new astronauts selected by NASA. Had the Apollo Program not been cancelled, Pogue would have flown to the Moon as Command Module Pilot of Apollo 19. He served on the support crews for Apollo 7, 11, and 14 but missed out on his own lunar excursion when all the Apollo missions after Apollo 17 were cancelled. Instead he and fellow Apollo 19 designee Gerald P. Carr were assigned to fly to Skylab, also known as Apollo Applications Program – America’s first space station, consisting of a modified S-IVB rocket stage. 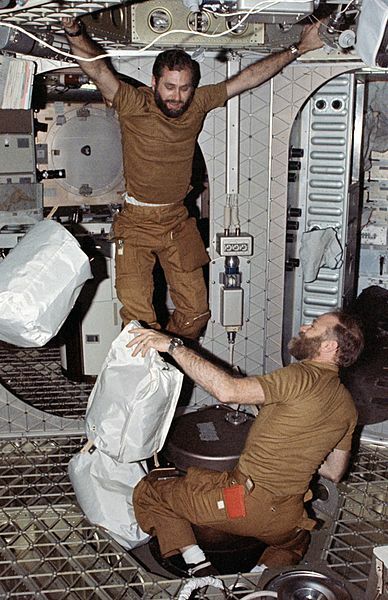 Bill Pogue (top left) is seen with Skylab 4 commander Gerald P Carr in this image during their landmark orbital mission (Credits: NASA). Pogue was selected as the pilot for Skylab 4, the third and final crewed mission, along with Gerald Carr (commander) and Edward G. Gibson (science-pilot) to fly to the orbiting laboratory. Launched on November 16, 1973, by a Saturn IB rocket, the three men went on to conduct the longest manned flight up to that point — a total of just over 84 days — before returning to Earth on February 8, 1974. Pogue and his colleagues carried out some 56 experiments plus a number of other science demonstrations and student investigations during their 1,214 orbits of our planet. They also extensively observed the Sun using the Apollo Telescope Mount, and collected data using the station’s Earth resources camera and sensor array. Pogue was personally involved in two spacewalks outside of Skylab, during which he logged 13 hours 31 minutes of EVA time; one of these, with Carr, lasted seven hours, setting a record at that time. On September 1, 1975, Pogue retired from both the U.S. Air Force as well as NASA and became self-employed as an aerospace consultant and producer of popular videos on space flight. His first book, How Do You Go to the Bathroom in Space?, in which he answered dozens of questions that had been posed to him over the years, was published in 1991. The following year he co-authored a science fiction novel, The Trikon Deception, with Ben Bova. In 2003, Pogue published his second question-and-answer book about spaceflight, called Space Trivia. Finally, his autobiography, But for the Grace of God: An Autobiography of an Aviator and Astronaut, came out in 2011. With heavy hearts we share with you the news of the passing of Bill Pogue, Skylab 4 Pilot. As we join together to mourn the loss of this American legend, the board and staff of ASF also grieve the loss of our close friend. Our deepest sympathies to his family. He leaves behind his wife Tina and three children.